Fr. 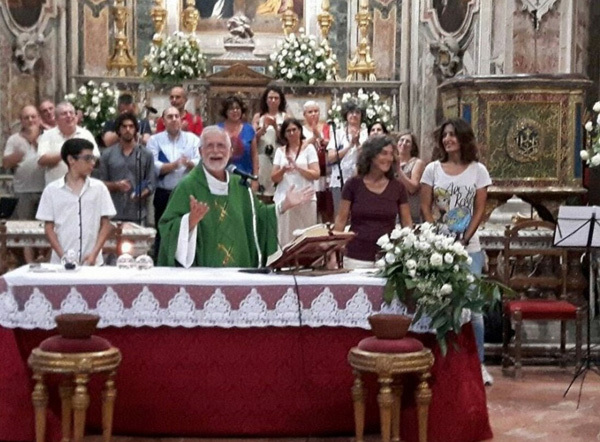 Cosimo Scordato, pastor of San Saverio Church in Palermo, Sicily, was asked by two lesbians to bless their rings since they were to be ‘married’ in a civil ceremony by the mayor of Palermo on September 7. Scordato could not bless the rings as this would be tantamount to celebrating an official marriage, which is forbidden by the Catholic Church. 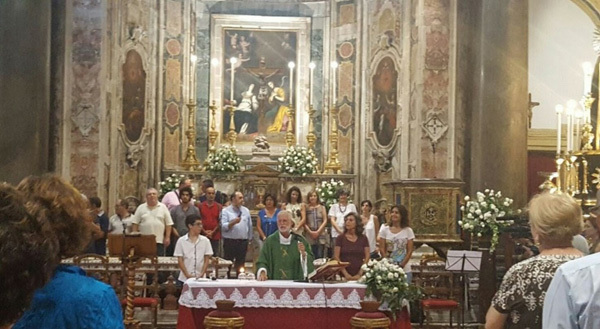 However, he suggested that the lesbians come to the Sunday Mass (September 4, 2016) so that he could present them to the congregation. He did so, as shown in the photos on this page, and asked the faithful to welcome the lesbian couple, which was done with a long ovation. The names of the women are Elisabella Cina and Serenella Fiasconaro. In his presentation Scordato said: "It is my wish that some day the Church will agree to bless these homosexual relationships also. Things change little by little, one step at the time." 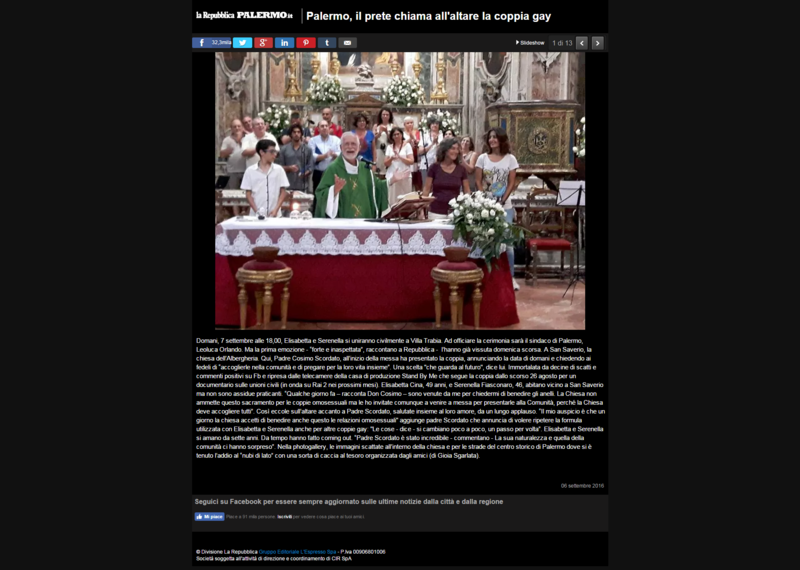 He expressed his intention to welcome other gay couples in the church in the same way. We see that, step by step, the Conciliar Church becomes the Church of Sodom and Gomorrah.